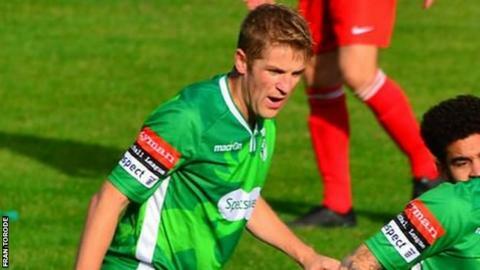 Guernsey manager Tony Vance says Carshalton's second goal was a pivotal moment in his side's 4-1 loss. Monday's defeat ended Guernsey's five-match unbeaten run, which stretched back to the first weekend of October. "The second goal really finished us off," Vance told BBC Radio Guernsey. "It was the real sucker punch for us because at half-time I thought we were looking like we could get something from the game but the second goal was the nail in the coffin." Vance added: "It was a poor goal for us to give away and after that you are always chasing. They got a couple of goals at the end when we were going for it." Forward Dominic Heaume marked his 200th appearance for the club with Guernsey's only goal and Vance was full of praise for the 32-year-old. "(Playing) 200 games is just ridiculous for someone of his age and he will just keep going," said Vance. "To get a goal like he did shows how important player for us."